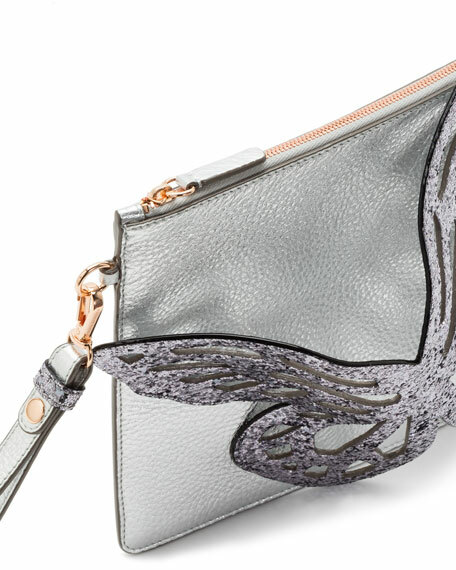 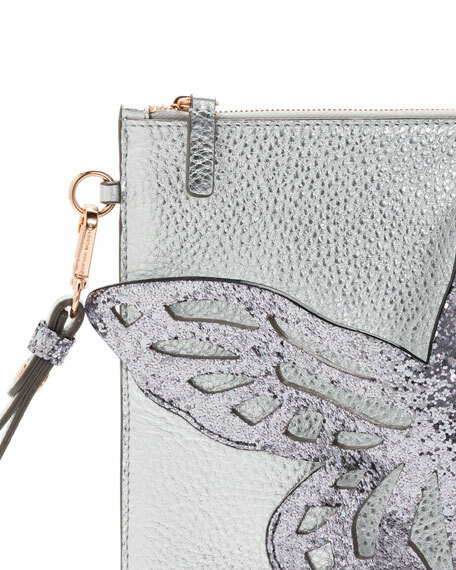 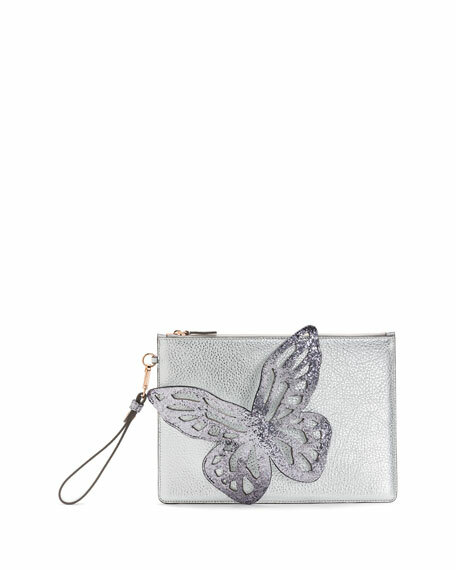 Sophia Webster metallic leather pochette bag with glittery 3D butterfly appliqué. 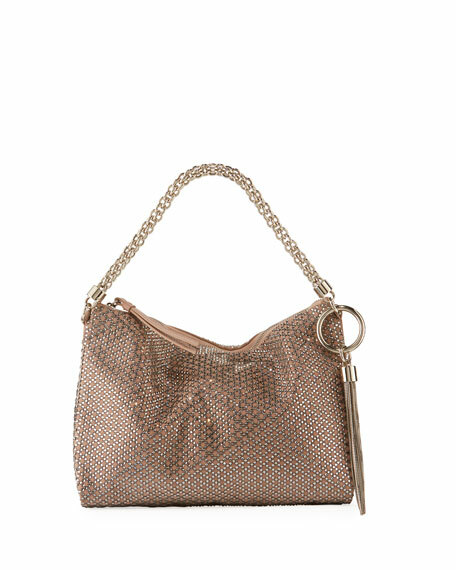 For in-store inquiries, use sku #2568067. 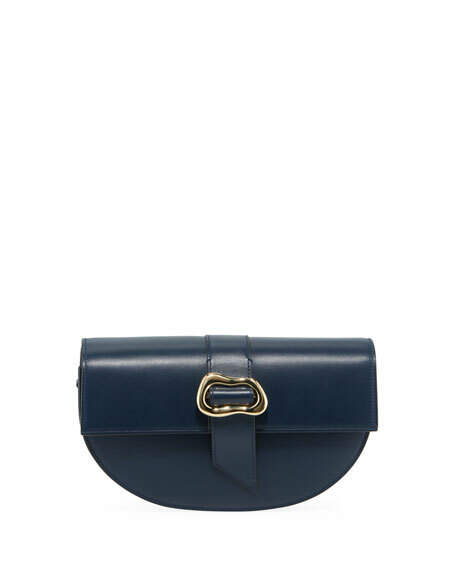 Allison Mitchell evening clutch bag in dyed calf hair (Brazil) and leather. 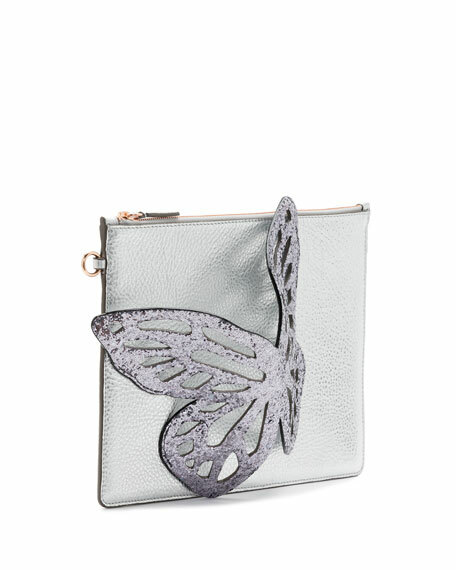 Flap top with dual magnetic closure. 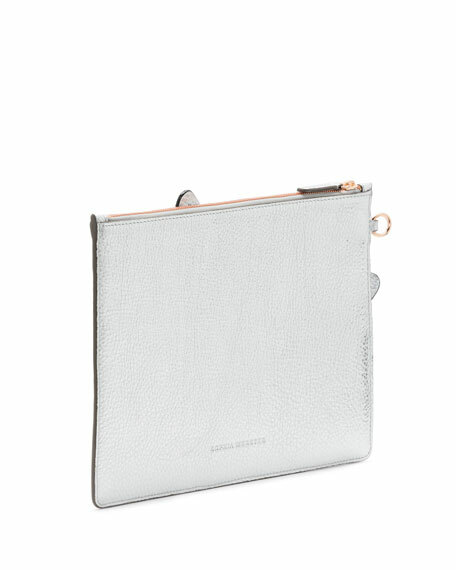 Zip pocket inside flap; interior zip compartment. 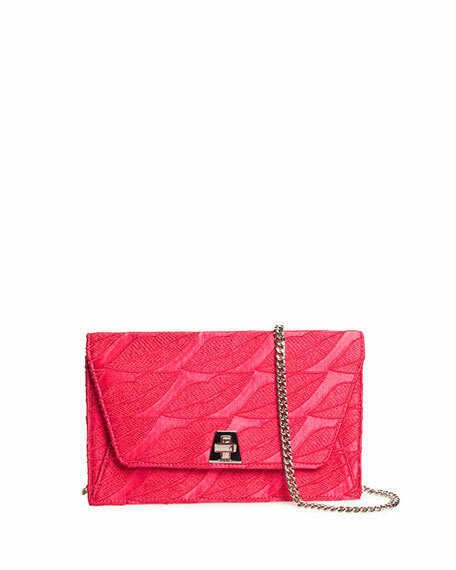 5"H x 12.1"W x 1.6"D. Made in USA of imported material.